The Rev. Chester "Chet" Wickwire arrived at Johns Hopkins in 1953, a new doctorate from Yale in hand, to take up the post of executive secretary of the Levering Hall YMCA, which was located on the Homewood campus. By the time he retired in 1984 as chaplain emeritus of the university, he had left an indelible mark on not only Johns Hopkins but also his adopted hometown of Baltimore. Wickwire, who was born in Nebraska and raised in Colorado, died on Aug. 31 at the Broadmead retirement community in Hunt Valley, Md., at the age of 94. The cause was complications of dementia. When attending Yale Divinity School in the 1940s, Wickwire was stricken with polio and spent 13 months in a local paupers hospital. That experience, he said, opened his eyes to a broader world and set him on his life journey. Setting down roots in Baltimore, he engaged in academic and civic activities that would affect all around him. An anti-segregationist, he organized the first integrated concert in Baltimore (featuring Maynard Ferguson, Dave Brubeck and others), found talented black high school students to attend the university and was one of the first to bring black guests to the Johns Hopkins Club. During his early years, though employed by the YMCA, Wickwire wore many hats at Johns Hopkins: He was in charge of orientation, special events, religious activities, volunteer programs and student activities. Wanting Johns Hopkins students to engage with the broader community, he created during the civil rights movement what would be one of his greatest legacies: the Johns Hopkins Tutorial Project, which this year is celebrating its 50th anniversary. At one time, it had more than 300 tutors — faculty members and nonaffiliates, as well as students. Wickwire's goal was for the Johns Hopkins students, most of whom were male and white, to interact with the city's black families. He organized groups from black and white churches to drive Johns Hopkins students into black neighborhoods, where they would tutor high school students in their homes. During the time of civil disorder in the mid-1960s, the children — now elementary school students because Wickwire decided that at-risk students needed early intervention — were bused from the schools to the Homewood campus. They still are, benefiting from learning in a college setting. Today, 120 students work one-on-one with trained Johns Hopkins tutors after school, two afternoons a week. And the university students, all of whom are volunteers, say that the program benefits them as much as their charges: It gives them something to focus on besides their grades and gives them a perspective of the world outside the campus. "The thing about [the Tutorial Project] I'm most proud of," Wickwire told The Gazette in 1998, "is that getting involved in the tutoring really changed the lives of the people involved." The program now operates through the university's Center for Social Concern, led by Bill Tiefenwerth. There would be no Center for Social Concern today, Tiefenwerth said, were it not for Wickwire. "[It] was created as an outcome of Chet's mentoring me when I was one of the assistant chaplains in the late '70s, early '80s," Tiefenwerth said. 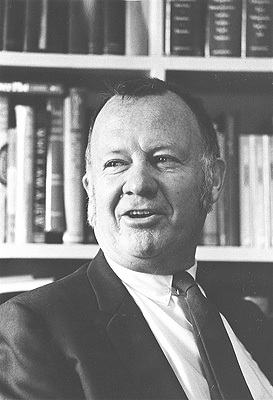 Wickwire also created Baltimore Free University, an informal nondegree-granting adult education program that existed from 1968 to 1984 and was brought back by the university in 2003 (now operated by the Village Learning Place as the Baltimore Lyceum), and his office was one of the first to bring cultural events to campus. Duke Ellington, Nina Simone, Charlie Mingus, Simon and Garfunkel, Frank Zappa, Joan Baez, Ravi Shankar and the Mamas and the Pappas all performed during the Wickwire years. A pied piper for young people, Wickwire was supported by more than 90 percent of the students — who signed a petition over two days — when conservative campus leaders considered removing him in the mid-'60s, when the YMCA talked about leaving the campus. A gathering place for students on the second floor of Levering was known to all simply as "Chester's Place." Wickwire is survived by his wife, Mary Ann; three sons, C. Lynn, Jon and Brian Wickwire; four grandchildren; five great-grandchildren; and his brother, Bruce Wickwire. A memorial service will be held from 10 a.m. to noon on Sunday, Sept. 28, at Broadmead. Friends and colleagues are invited to share their memories. To hear Wickwire reminiscing about his years at Johns Hopkins and in Baltimore, listen to the recordings at csc.jhu.edu/OLD/reflections_wickwire.html. GO TO SEPTEMBER 8, 2008 TABLE OF CONTENTS.